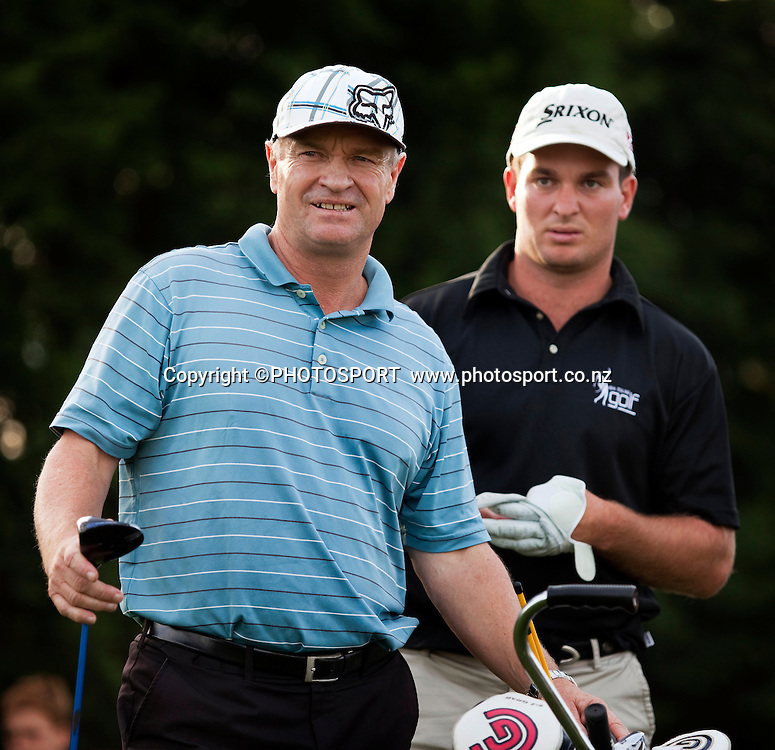 Ryan Fox behind his Caddie and father Grant Fox during the final round of the Lion Foundation New Zealand Amateur Strokeplay Championships. Russley Golf Club, Christchurch, New Zealand. Saturday, 23 April 2011. Joseph Johnson/PHOTOSPORT.